a cultural icon on New York’s Lower East Side since 1973. The Nuyorican presents groundbreaking works of literature, music, theater, performance art, poetry slam, Hip-Hop, visual art and champions established as well as rising artists from every background imaginable for ALL AGES. To find out more about the Cafe, see our Program pages, check out our calendar and come on down to the biggest little stage on earth. On April 20th, we proudly present the "Words Matter" Open Slam, part of the 2019 @duaf_nyc. Hosted by 2016 Grand Slam Champion Jaime Lee Lewis, and featuring @radebergerpilsner 2-for-1 drink specials. Learn more and purchase tickets at http://bit.ly/wordsmatter19. Check out our next Home Grown showcase event, "$5 Open Mic": 5 bucks admission, 4 minutes per artist, hosted by @3dollarrapshow. Purchase tickets at http://bit.ly/5openmic, and send your questions to nahreallymusic(at) gmail.com NYC-based performers: email info(at)nuyorican.org to learn more about our Home Grown series and how you can participate. Step up to the mic and share your poetry at our Wednesday Night Slam Open, hosted by Crystal Valentine. Tickets at http://bit.ly/wedslam. We're feeling the love from @kailovesu2; thanks for your #npcfanshare! Check out tonight's Open Mic Monday (http://bit.ly/415omm) and tag #npcfanshare to show us your pix. 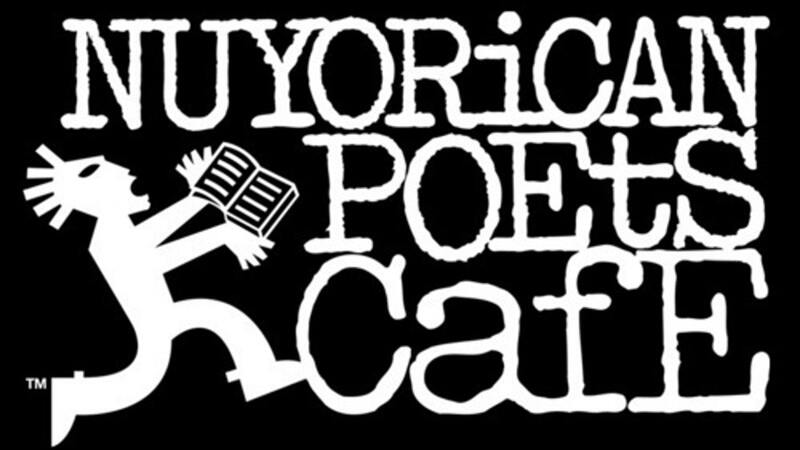 #Repost: "If you are ever in New York, visit and support the #nuyoricanpoetscafe. A true gem!" Tonight at 6pm, jam to pop, acoustics, and chill music at TJI Presents: Spring Experience (http://bit.ly/tjispring). Then, stop by Saturday, April 13th for @pinktacos.nyc's "Crash Test" showcase (http://bit.ly/pinktacocrash). Today, we celebrate poet Lucky Cienfuegos. Read an excerpt from his poem “The Influence of Don Quijote,” and learn about the Cafe’s early days, in this vintage @nytimes feature: https://nyti.ms/2TFrPhA (Photo: Paul Hosefros/New York Times). Our programming is made possible in part by the New York State Council on the Arts with the support of Governor Andrew M. Cuomo and the New York State Legislature; The National Endowment for the Arts; The New York City Department of Cultural Affairs; Councilwoman Rosie Mendez; The New York City Council and The Booth Ferris Foundation.